All of us at The Finch and Pea send our wishes for a joyous Easter to all those who celebrate, and a sciency Sunday to all. 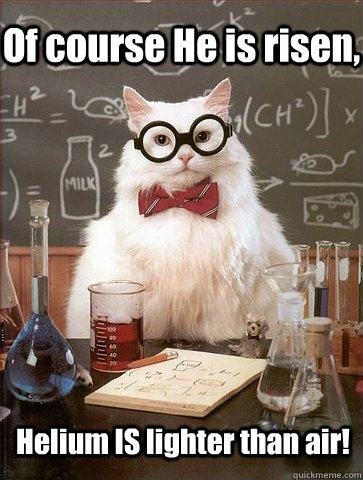 This entry was posted in Science Caturday and tagged chemistry cat, Chemistry lolcat, Easter. Bookmark the permalink.